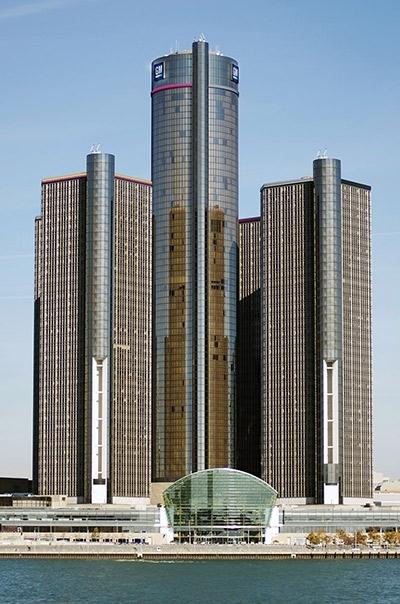 With its sprawling geography and revved-up food scene, the Motor City is the perfect setting for a one-day road trip. Those of us who know and love Detroit consider it a kind of half-finished heaven. We favor its brawny, threadbare aura, its onion-and-mustard-spangled coney dogs, its rambling thoroughfares from a time when Cadillac Eldorados ruled the roads. The city’s lonely Gothic churches, historic Art Deco skyscrapers, and spacious island park are joined by a vast network of urban farms growing all sorts of delicious, fresh things in between swaths of concrete jungle. These farms, together with the city’s new restaurants dispersed in pockets all over town, make an urban road trip the best way to explore Motown. 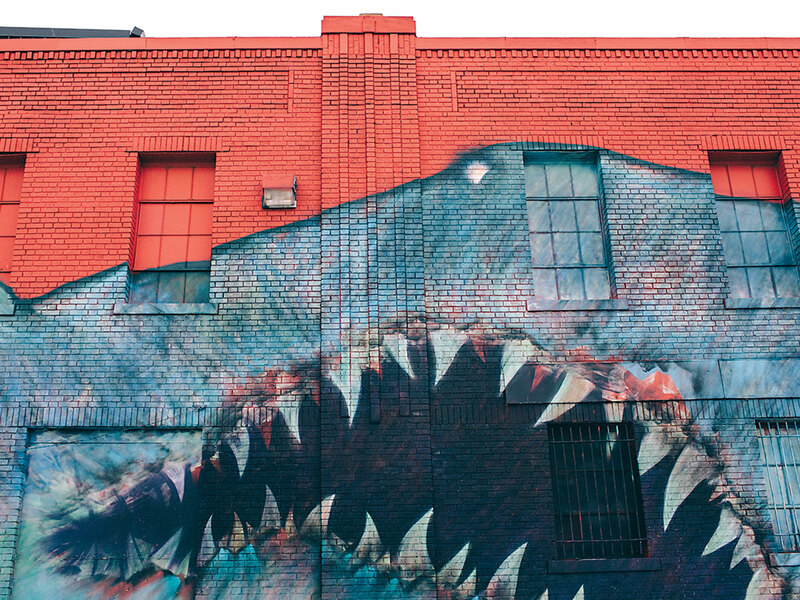 Read why John O’Connor recommends visits to Anthology Coffee, Rose’s Fine Food, The Heidelberg Project, Eastern Market, Selden Standard, & Detroit City Distillery – and how to do it on a one-day trip. This entry was posted in Detroit Business, Detroit Food, Restaurants and tagged Anthology Coffee, Detroit City Distillery, Eastern Market, Heidelberg Project, Rose's Fine Food, Selden Standard. A new video by Sam Wolson examines the aftermath of nine arson fires at the Project, which attracts visitors from around the world. Show Me Detroit Tours visits The Heidelberg Project during its twice daily two-hour van tours of Greater Downtown Detroit. For complete tour reservation info visit www.showmedetroittours.com/reservations.html. 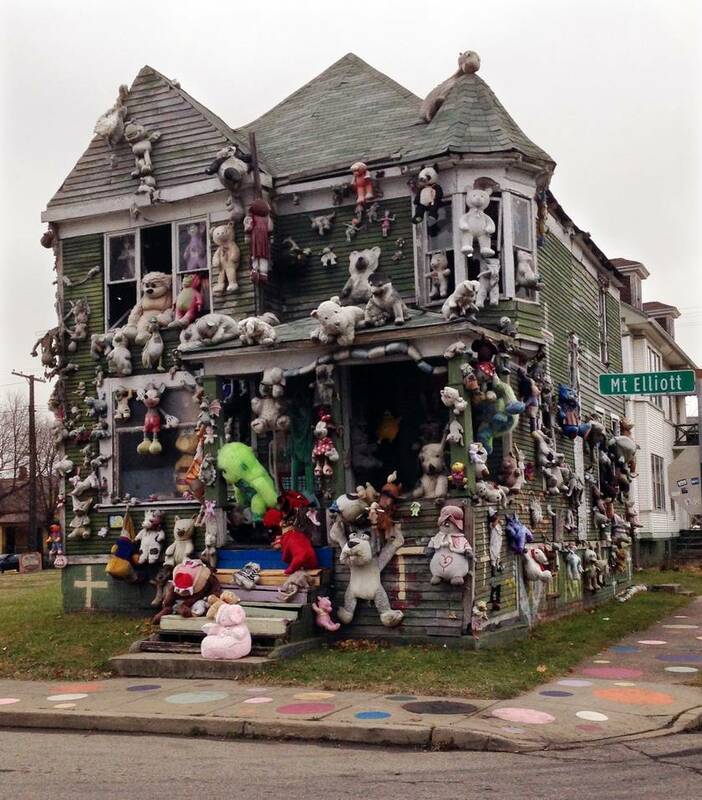 This entry was posted in Detroit Tour, Video and tagged Heidelberg Project, Sam Wolson. 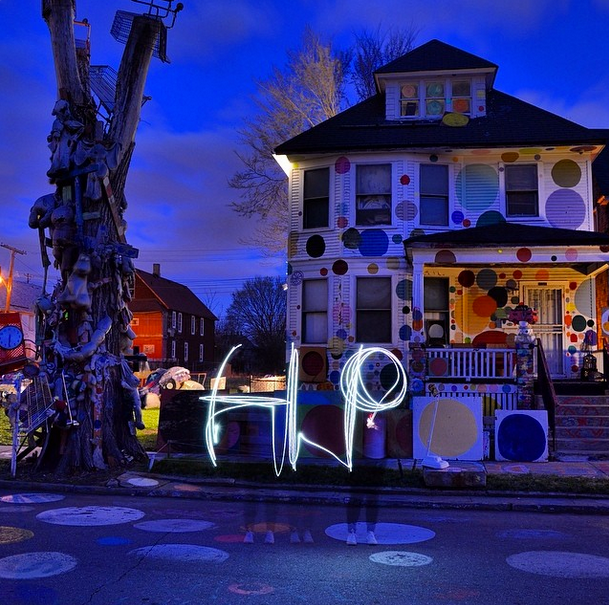 Congratulations to The Heidelberg Project for being selected as one of USA Today’s Best Art Districts. Part political protest and part outdoor art environment, the Heidelberg Project in Detroit’s East Side aims to transform lives through the power of creativity. 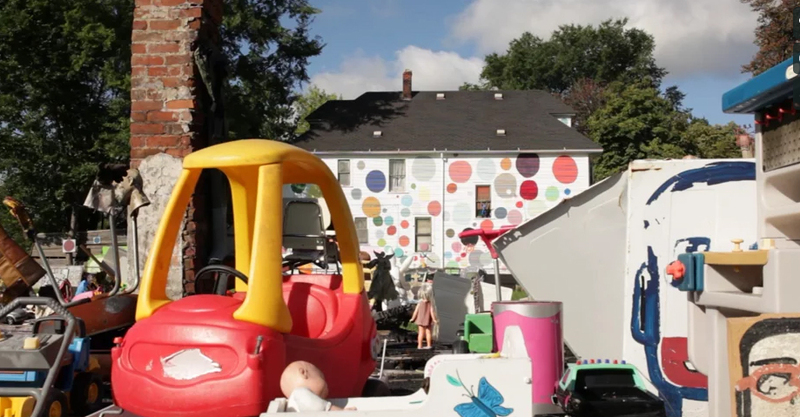 Begun in 1986, the project features a block of trees, yards and abandoned houses along Heidelberg Street adorned with found object sculptures and the project’s signature polka dot motif. This entry was posted in Street Art and tagged Heidelberg Project.